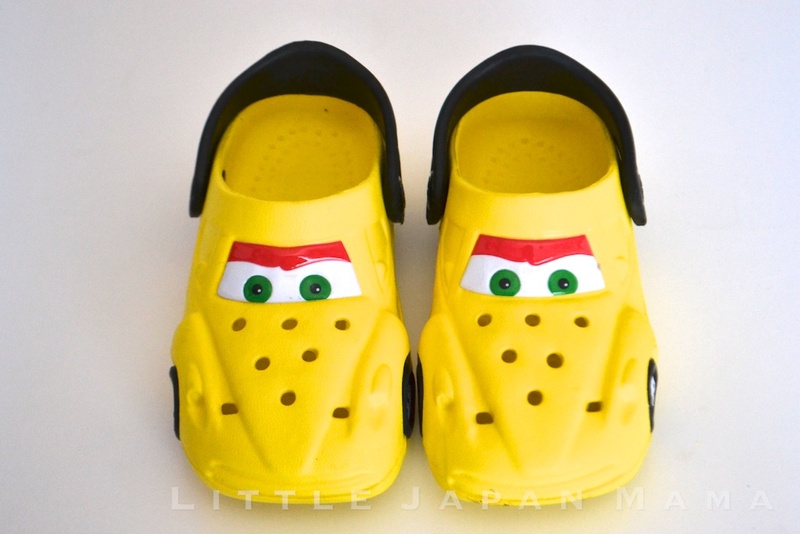 So, I couldn't resist but add them to the shop...I guess I'll make a new category - "Little Japan Kids"? These Yellow Racing Car Shoes are made of a similar design and material to Crocs. 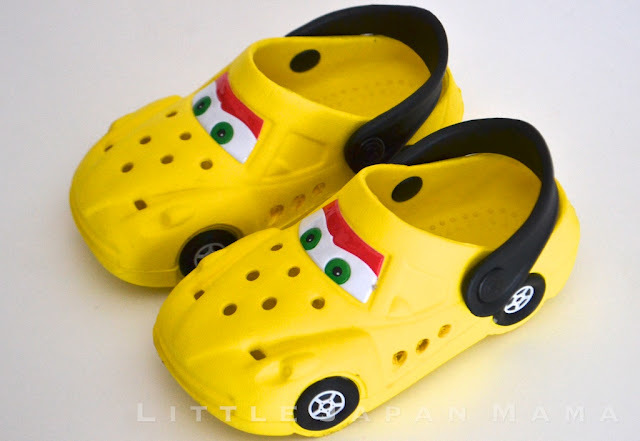 Like Crocs, they're convertible so the strap can be behind the heel for when you're going out, or for using them as slippers out in the yard (or in the house) the strap goes forward. Size: 14cm only. Age approx 1-2 years. 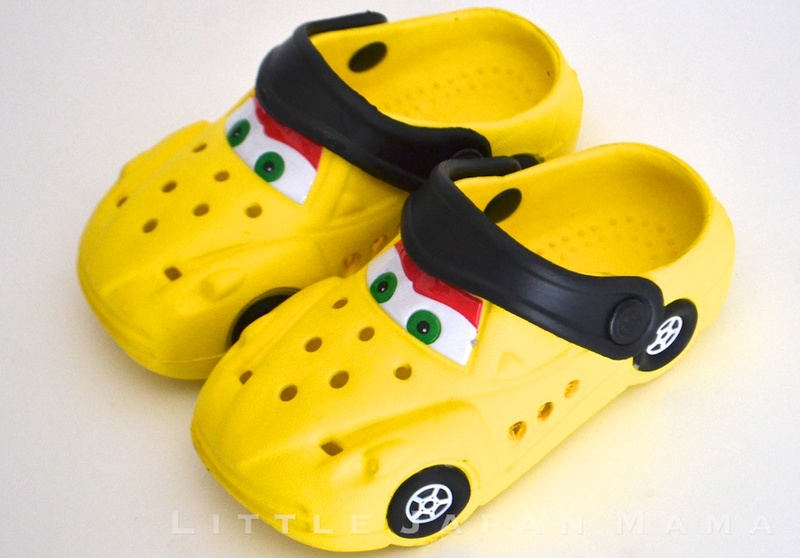 Since you can’t try them on, I recommend getting them only if your child is less than two years old, (less than 12 months if they have large feet for their age) then you can keep them until they fit. They make a great toy in the meantime! 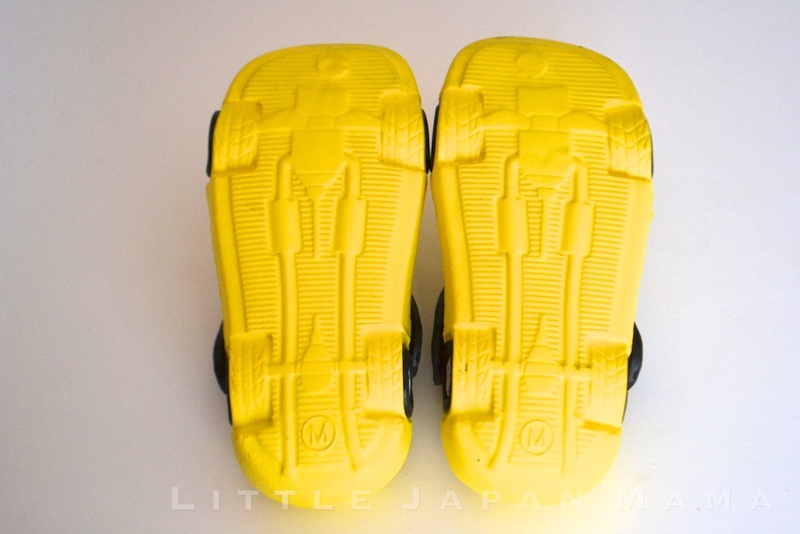 Ochibi's shoes photographed here are actually size 16cm, as my 2 1/2 year old found the size 14cm shoes too tight. However there is no more stock of 16cm, sorry. 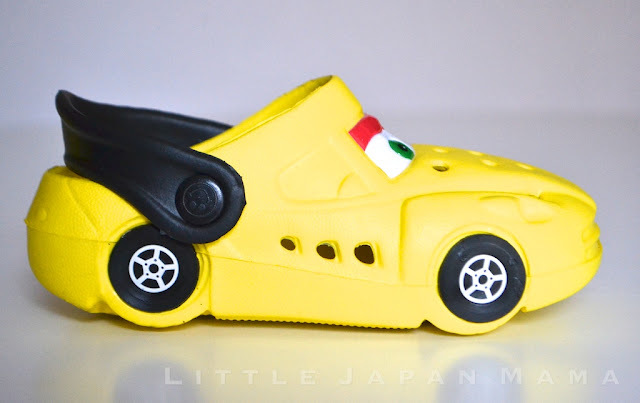 Thanks for this Yellow Racing Car Shoes post. 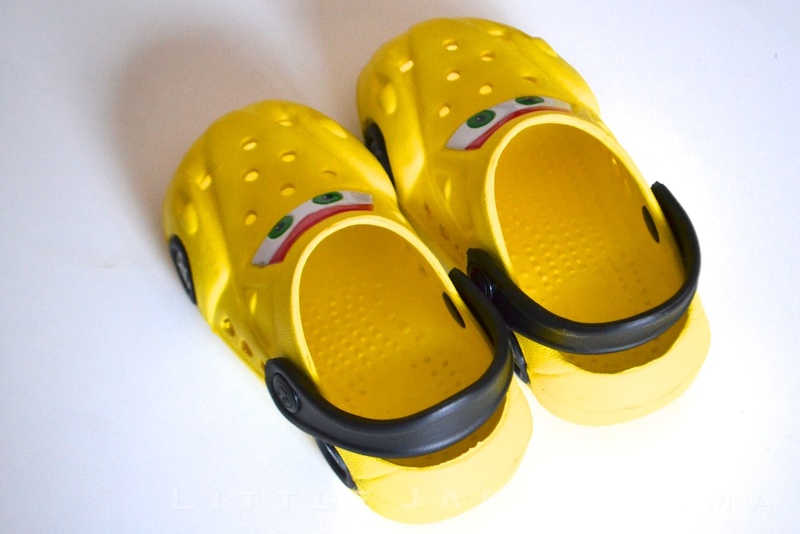 It made of a comparable outline and material to Crocs. Like Crocs, they're convertible so the strap can be behind the heel for when you're going out, or for utilizing them as shoes out as a part of the yard (or in the house) the strap goes ahead.What is the price of this shoes?